When combined the weapon's blade is five inches in width and 24 inches in length; with both sides holding a very sharpened blade. Given the two blades that make up the Total Eclipse are both made out of Adamantium (the Light side being blessed, the Dark side being cursed), it is impossible to break or shatter this metal. The combined hilt which in this form takes two hands to wield and is eight inches in length. Sentience: While any halfbreed can safely wield the blade it will only respond to once in a life-time. For those outside of the weilder trying to control or use this weapon it will result in the immediate death of said person. This also keeps the weapon from being able to be manipulated by outside forces; or otherwise controlled or used in means outside of the current users own free will. Total Eclipse:User has the ability to control the energy emitted during a Eclipse. For it to be done, a combination of Solar and Lunar energies must be formed. Object Fusion: When fused the weapon takes on a more evolved state that grants the user powers otherwise unable to achieve without the fusion of both the Dark and Light halves. History: Total Eclipse comes in three parts: Dark Eclipse, Light Eclipse, and Total Eclipse. Dark and Light are dangerous in their own right but when combined it unlocks a whole new multitude of powers and abilities. This weapon was created when the battle between good and evil, Angels and Demons, began. However, this set of blades is very special as only a halfbreed (half Angel, half Demon) can weild their completed form without suffering the fate of death. This reaction to anyone not of hybrid blood is the reason why the blade was considered by both sides as tainted and unworthy - ignoring the fact that its powers make it anything but. In its singular form this weapon looks like a katana whose blade is 24 inches long and 2 1/2 inches in width with a hilt that is eight inches long. The blade is made out of cursed Adamantium making it impossible to break or shatter. Malefic Force: The sword gives off demonic, dark, evil energy that can be manipulated in several ways by the weilder. Energy Constructs formed of evil energy. Turn a good being into a wicked one. Chaos Manipulation: User can control all the chaotic forces in the universe, allowing them to manipulate probability or manipulate and even shatter reality. They are able to change, mutate, destroy or otherwise manipulate any matter, space/time, living beings, organizations or minds and spirits. In its singular form this weapon looks like a katana whose blade is 24 inches long and 2 1/2 inches in width with a hilt that is eight inches long. The blade is made out of blessed Adamantium making it impossible to break or shatter. Benefic Force Manipulation: The sword gives off good, pure, holy energy that can be manipulated in several ways by the weilder. Turn evil person into good one. Energy Constructs formed of good energy. Order Manipulation: User is able to manipulate order on a literal, symbolic, conceptual and physical level. They have ability to recognize, discern, envision and understand overt and/or underlying patterns and structure of anything physical, social, mental or natural and know their weaknesses, strengths and all other information and how to use them to reach the wanted goal. Atomic Vision is very limited and focused form of this ability. User with this ability is able to turn even the most un-ordered situations into well organized and properly structured systems. An example would be a riot involving thousands of people: user would cause the riot to stop or organize it into more effective form. Other simple trick would be throwing a deck of cards to air and have them fall into perfect, unsufled stack. Envision and understand overt and/or underlying patterns and structure of anything and how to use them to reach the wanted goal. Health Optimization by removing the imperfections. Increase the probability of orderly patterns happening. Neutralize or pacify storms, tornadoes, or other "chaotic forces", or simply use them to their own purposes. Suppress emotions to allow targets think rationally. Technology in all it's forms. Description: A switchblade is a type of knife with a folding or sliding blade contained in the handle which is opened automatically by a spring when a button, lever, or switch on the handle or bolster is activated (often confused with a different type of knife, the spring-assist or assisted-opening knife). A manually operated safety device fitted to most switchblades prevents the blade from opening in the event the button is accidentally pressed. Most switchblade designs incorporate a locking blade, in which the blade is locked against closure when the spring extends the blade to the fully opened position. The blade is unlocked by manually operating a mechanism that unlocks the blade and allows it to be folded and locked in the closed position. Description: The katana is characterized by its distinctive appearance: a curved, slender, single-edged blade with a circular or squared guard and long grip to accommodate two hands. It has a blade length greater than 60 cm (23 1⁄2 inches). 1. The katana is capable of being impregnated with magics that it absorbs from other people; much like the stealing of powers. Once the power is stolen or copied it can either remain in the blade from which it can be used, or transfered to the user so that they can absorb and use it even without the use of the katana. 2. The katana is sentient; it will reject any other but its creator from being capable of using it. Anyone who touch it for more than five seconds will suffer the effect of that limb rotting and decaying until it falls off. History: This Katana was created by Ka'lara on her tenth birthday in honor of her completing her training and defeating her training instructor in a mock battle. Description: The single-headed version of this weapon is used in a similar manner to the rope dart in that it is a long reach weapon with a single head. The main difference between the headed meteor hammer and a rope spear is that traditionally the meteor hammer has an end shaped similar to an egg or melon. The single end can traditionally weigh up to 3 kg and is attached to a rope that can be 5 meters in length. Because of these traits, a single headed meteor hammer can be a very effective weapon, despite being very difficult to control. In modern times, this version is rarely studied or taught since a weapon of this nature isn't needed and is very complex to learn. This particular weapon is made out of elven steel; a very durable metal capable of being infused with rune magic of the user wishes; the weights can also be lit on fire. Abilities: All chain-based weapons tend to be handled in a similar fashion; however, the meteor hammer is unique in a few respects. Firstly, it has no handle and secondly it is weighted at both ends. These allow for more effective control over its movement. Even at the most basic levels, a meteor hammer is often seen as unpredictable and intimidating. The difficulty people have in following it makes it very effective in combat. Throw: A meteor may be thrown, while holding one of the heads to enable its retrieval. This is a highly unpredictable form of attack, often used effectively to catch an opponent off guard. A throw can be initiated quickly and efficiently by a skilled fighter, with a simple pull in the correct direction. Grab: A correctly placed throw can cause the meteor to wrap itself around an object and grab it. If done correctly, the meteor will wrap over itself and ensnare a weapon, an object or even an opponent's limb. Alternatively, if the meteor does not wrap over itself, it can be used to spin an object, providing a helpful way of swiftly disorienting an opponent. Whip: a simple linear strike can be effected, as from a whip. Slam: Sometimes referred to as "storm from above", this powerful attack involves a wide overhead arc, resulting in a vertical strike. Difficult to counter, but relatively easy to dodge, this attack can be repeated a number of times, similar to the technique used with a Bō. Swing: The swing is a simple side attack, capable of tripping an opponent. A basic move to learn, but a difficult one to master, being as a horizontal swing can very easily backfire and injure the one wielding the meteor. Further moves include blocks, short strikes, figure eight motions, locks and holds. It is also possible to use many of the same techniques common to the nunchaku, by bouncing the chain off the body or even other objects for even more unpredictability. History: The meteor hammer is an ancient Chinese weapon, consisting at its most basic level of two weights connected by a rope or chain. One of the flexible or 'soft' weapons, it is referred to by many different names worldwide, dependent upon region, construction and intended use. Other names in use include dai chui, flying hammer, or dragon's fist. It belongs to the broader classes of flail and chain weapons. Description: This upgrade can be used to permanently add +1 to a character's default speed. It can be used on a piece of clothing, armor, or however the character chooses to use it. The Speed Upgrade can only be used by the character that bought it, (to prevent switching between multiple characters) but it can also be stolen from defeated/deceased characters. Appearance: Ankoku is a black colored tanuki, with white markings all over its face, body, and tail. It has a jagged, concave mouth and the sclerae of its eyes are white, with amber irides, and pupils that each takes the shape of a black four-pointed star with four black dots around it. Ankoku stands at fifty stories tall (500 feet), by about twenty stories wide (200 feet), and weighs over twenty tons, the body made souly of shadow, making it very pliable: and yet Ankoku is more than capable of solidifying its body and these shadows when the need to deal physical damage is there. Personality: Ankoku is cunning, but also incoherent - or so he seems that way when speaking telepathically to all but his jinchūriki , giving it the demeanor of a madman. It uses "ore" when referring to itself. Ankoku relishes the opportunity to kill anyone in sight, even more so during a full moon when his bloodlust is almost insatiable. Like all tailed beasts, Ankoku has a strong desire to preserve its own life, and as such, will grant its jinchūriki the power to control shadows as well as allow them to transform into it in a state of need and blood-lust. Ankoku is willing to oblige to the wishes of humans if it can see a way for it to surpass others, though it claims to do so on a whim not because it had been asked. This also shows that Ankoku holds a certain level of pride and confidence in its own capabilities. Ankoku will not show respect to his jinchūriki until he feels that said jinchūriki has earned such: either through acts of brutal violence, or acts of selflessness - though, he will rarely admit to the latter as being a reason why. Ankoku has also throughout the years turned into a prankster of sorts; given that it's a Tanuki made entirely out of shadow the bijuu is more than capable of changing forms - going so far as to change the number of tails it has to confuse and manipulate others for his own self gain or the gain of his jinchūriki; however Ankoku's favorite number of tails to portray is seven, as he considers it his lucky number. History: Throughout the years Ankoku was again freed and then thought to finally be destroyed - though the very way that this had happened or who had accomplished such a task was lost to the years; with each retelling of the story becoming farther and farther to the truth. When Ankoku reappeared centuries later, the reincarnation of the beast he once was, it was even said to be lost to him. He would become violent if pestered with the wanting of said knowledge; and therefore the subject was often dropped. Ankoku spent much of his time roaming the Chakra Beast Valley until boredom set in for the blood crazed beast. He still had much of the same personality and traits that he had had before, and the blood-lust was one of them. Therefore he set out into the world, heading for the warmest place that he could find which was Yokuchi. The plague that ravished the lands didn't bother him as he traveled as nothing more than blowing dust on the wind, or at other times as the huge raging beast that he was. Eventually, with a path of bloodshed like a trail of bread crumbs behind him, he arrived in Yokuchi. A battle occurred with Ankoku damaging a great deal of the village. However, a sealed Fuuinjutsu user was able to launch his own attack, though it was flawed. A seal that was mean to contain the beast instead transported it into another world - a world far different then the one that Ankoku was from. And so here Ankoku survives, searching out a willing opponent or a worthy host to inhabit. Description: The user's shadow is now infused with not only the hosts chakra but the beasts itself. As such the beast is capable of protecting the host now completely on its own free will. Knowing that it will die if the host dies, the beast will always protect the host. It is capable of protecting against all physical attacks (Taijutsu and Kenjutsu) up to and including SSS rank (+25 Strength). Likewise the user is protected against non-elemental Ninjutsu based attacks up to and including SSS rank (+25 Strength based) as well as well as other Shadow attacks of SSS rank (+25 Strength) and lower. Since its whole body is completely made of shadows, Ankoku can ignore most damage that would otherwise be detrimental. However, those of a speed of +25 are capable of surpassing this shield and actually hitting the host. If the shield is surpassed the user has a second line of defense in a thin layer of shadows that rests upon their flesh. This flesh-shield is a last defense and only capable of handling so much damage before it breaks (unlimited attacks of +10 Strength or lower, 10 hits of +11 - +15 strength, 5 hits of +16 - +20 strength, 3 hits of +21 - +24, and 1 hit of +25 or higher. If this shield is broken the user must wait 3 posts before using it again - however, their outer shield of shadows will always remain even if the second line of defense is broken. Description: The user is capable of generating mass amounts of additional shadow to use for the purpose of jutsu (up to 100 feet of shadow per post), or even using the beasts own shadowy body to add to their own supply for their own usage (when done this way the user is capable of creating more than 100 feet of shadow per post). Description: The user is capable of freely manipulating not only their own shadow but also the shadows granted to them by Ankoku: this is done with the simplest of gestures and costs no chakra due to the shadow being so infused with chakra that it is capable of acting of its own free will, or the users will without question, especially when it comes to defending the host the beast is sealed within. This shadow manipulation can even stretch to the manipulation of shadows present in the environment. This shadow manipulation also allows the beast or its host to manipulate shadows into solid forms - such as those used to injure or restrain opponents. This all essentially allows the user the ability to manipulate shadows without the strict use of jutsu. Description: The jinchuuriki is capable of manifesting and using different parts of the beast at any given time: head, front legs, back legs, tail, ect (which takes 1 post to manifest). This also includes a full blown beast form transformation (which takes 2 posts to manifest). Description: The users of this power are able to form a sacred and powerful union between user and companion both telepathic and empathetic, and they can fight with a harmonized flow of energy. The user can also just rely on their companion to fight. Both are linked both emphatically and telepathically at all times. In some cases if the user is in danger, there can be a fusion between user and companion to achieve a more powerful form in which case the beast often takes over the hosts body and actions. This bond also allows the host to use any of Ankoku's jutsu without a partial or full transformation. Description: The Shadow Style: Shadow Clone, despite its name is more akin to the various elemental clone jutsu. 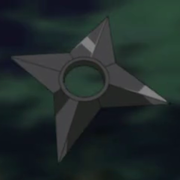 The User will focus his chakra into thier shadow, causing it to rise up, forming out a single duplicate of the user, though jet black in appearance. Like other solid clone techniques, the clones can be used to perform tasks the user is unable or unwilling to do for themselves. The range of the clone is limited however, as it can not travel very far from the original body without losing control. Like other clone techniques, if the clone is injured enough it will revert back to a normal shadow. The clone itself has no chakra pool of its own; it remains connected to the user by a thin strand of shadow. Instead, the user is able to use the shadow clone as relay point, projecting jutsu out from the clone as if it were the real user, thus extending the reach of his/her jutsu. The clone automatically disperses when the user runs out of chakra, or when hit by any attack that can cause a noteworthy level of physical damage (an attack of +21 Strength or higher). The distance the clone can travel from its creator varies depending on who is using the jutsu: if the host is using the jutsu in human form the clone can travel up to 25 meters away from the user in any given direction, if the host is partially transformed then the clone can travel up to 75 meters away from the user in any given direction, and finally if there is a full transformation in play then the clone can travel up to 200 meters away from the creator in any given direction. Description: The user manifests their shadow as a puddle under the target after linking shadows with them using the Shadow Gathering Technique, and flowing chakra into the shadow (Post 1), causing it to visibly concentrate in blackness. The shadows rise up off the ground (Post 2) and surrounds the target from all angles, lifting them up to 3ft off the ground and restricting their movement. (the target is completely enveloped in the Shadow Coffin except for their face.) This jutsu can be used to imprison the victim, or as a set up for a nastier attack. While physically breaking free is nearly impossible if the one trapped is capable of producing a source of light from their body or nearby (while not moving, given they're immovable in this state) that will cause the jutsu to break. Description: A technique only usable after trapping a target with the Shadow Coffin Jutsu. The user causes the materialized shadow to constrict the victim painfully. One post of this jutsu's effect can break multiple bones in the target's body (usually the limbs and possibly the ribs). Further use of the technique begins to crush internal structures (Post 2). Description: A simple barrier of shadows darts in front of an attack the user notices after the activation of this jutsu. The shadow completely compromises any effect that the jutsu would have had on the user. 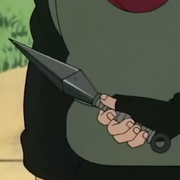 This jutsu can block 4 chi-based attacks of one rank lower (+1 or lower strength of the user), 2 of equal rank (equal strength of the user), or 1 of one rank higher (above the user's current strength level). Range: Create within 1m of the user. Description: The user applies shape manipulation to a nearby shadow to solidify it and make it into the form of a spear/halberd/other Sojutsu weapon. It may be a maximum of 7ft in length; it acts as a weapon of equal rank to the jutsu that created it. The spear can be wielded indefinitely so long as the creator's shadow is beneath it or the creator is in physical contact with it. If neither of these conditions are met, the spear disperses 2 posts after it was deprived of contact with the creator. The spear, however, can be passed through by other Shadow jutsu, increasing their range by the length of the spear. C-Rank: At this rank, the weapon can cause moderate bruising if the target is struck with any part of the weapon. However, the blade/point is capable of piercing/cutting up to two inches deep. B-Rank: At this ranking, the weapon is capable of causing deep tissue bruising, as well as piercing/cutting up to three and a half inches into flesh. A direct strike on bone can break through it, cleaving it in twain. A-Rank: At this ranking, the weapon is capable of piercing/cutting completely through an opponent or cutting completely through bone without an issue. While the jutsu is active, it can also be used as a tracking aid. The creator retains a mental connection to the tanuki, able to sense what the tanuki is seeing, despite not actually seeing it themselves. If the tanuki is destroyed, the user will gain access to the 'memories' of it, allowing him to see/hear/smell what the creature saw during its lifespan. Description: A technique in which the user is capable of concealing themselves in a shadow. By charging their body with chakra, the user is capable of shadow manipulation; sinking into the shadow of a person or object to hide themselves. While hidden in the shadow of a person, the user moves with that person, remaining locked into their shadow until they wish to exit. This makes this technique perfect for infiltration. In addition, the user is able to 'jump' shadows; moving into another shadow if the one they currently occupy crosses over it, but this is limited to once per post. While the user is hidden, they can only be detected by the most keen sensory abilities (such as Chakra Radar). In order to do this, certain rules must be followed. First and foremost, the user cannot sink into thier own shadow. Attempting to do so will result in wasted chakra. Secondly, the user can only sink into a shadow that is equal to or greater than his/her body size. That means no sinking into the shadow of a blade of grass or pebble. Third, the user can be forced out of this technique relatively easily, by flooding the area with enough light to remove the shadows. If this is done, the user will instantaneously be forced out of the technique, and riddled with the feeling of third degree burns across their entire body for one post (No actual damage is done to the user. This is merely the nerve receptors recovering from the shock of the chakra being disrupted). The user can only remain hidden within the shadows for up to five posts. The user then must wait two posts after fully emerging from the shadows (canceling the jutsu, essentially) before it can be used again. Description: The user merely focuses a large amount of chakra through their feet and into their shadow; causing it to explode outward and upward. The chakra takes the shape of several black crystalline structures that rise up four feet from the ground in a 5 meter radius. They appear and disappear in the span of just a few moments; causing pierce and crush damage. Because the bursts of chakra rise from below; the majority of damage is focused on the legs and lower body of the victim; piercing up to 3 inches into flesh and leaving moderate gashes on grazing strikes. Bones can be broken or pierced through. Each spike is roughly an inch wide. These spikes can either rise from the shadow of the user, or from any shadow that theirs is connected to, making this perfect for countering running opponents or forcing a melee rank opponent to back away. The spikes last for two posts unless the user dispels them early. "I am the darkness in the light. I am the light in the darkness."